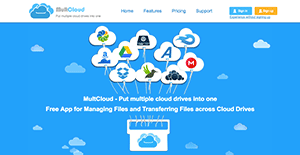 MultCloud‘s greatest highlight is that it works well with the most popular and widely used cloud storage service providers, including Dropbox, Box, Amazon S3, WebDAV, Google Drive, and OneDrive to name some. It also has a cloud file manager feature that makes transferring multiple files across multiple cloud drives a breeze. MultCloud employs 256-bit AES encryption that shields sensitive information such as username and passwords during data transfer. The system does store the data of users since they are only facilitating its transfer. This means user information from any breach or unauthorized access. If you are interested in MultCloud it may also be sensible to analyze other subcategories of Best File Sharing Software gathered in our database of SaaS software reviews. Every organization has different wants and needs an application that can be personalized for their size, kind of employees and customers, and the specific industry they are in. For these reasons, no platform can proffer perfect tools out-of-the-box. When you try to find a software system, first be sure what you require it for. Read some MultCloud reviews and ask yourself do you want basic tools or do you want sophisticated functionality? Are there any industry-specific functionalities that you are looking for? Find the answers to these queries to help your search. There are plenty of factors that you need to mull over and these include your budget, particular business wants, your company size, integration needs etc. Take your time, check out a few free trials, and finally zero in on the platform that presents all that you want to boost your organization competence and productivity. How Much Does MultCloud Cost? We realize that when you make a decision to buy File Sharing Software it’s important not only to see how experts evaluate it in their reviews, but also to find out if the real people and companies that buy it are actually satisfied with the product. That’s why we’ve created our behavior-based Customer Satisfaction Algorithm™ that gathers customer reviews, comments and MultCloud reviews across a wide range of social media sites. The data is then presented in an easy to digest form showing how many people had positive and negative experience with MultCloud. With that information at hand you should be equipped to make an informed buying decision that you won’t regret. What are MultCloud pricing details? What integrations are available for MultCloud? If you need more information about MultCloud or you simply have a question let us know what you need and we’ll forward your request directly to the vendor.